Twilight was coming to the extreme northern Texas Panhandle at the time this photo was taken. The light changed from that of a hot shimmer off the Great Plains to something very lovely. There was no traffic. 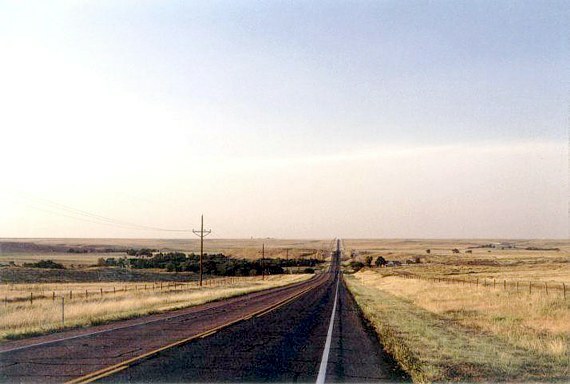 The road dipped beyond, and went straight north toward Oklahoma.